A Russian journalist who was first reported kidnapped, and then detained by self-defense forces in Artyomovsk, Donetsk region in East Ukraine, was released having spent around 13 hours in captivity. Novaya Gazeta Russian daily says its employee can finally be reached by phone after hours of uncertainty concerning his fate. “Novaya Gazeta’s special correspondent, Pavel Kanygin, has called the office and is anticipating seeing his colleagues again,” a statement on Novaya Gazeta’s website says. Kanygin says he was kidnapped by self-defense activists who beat him up and took his money. “We were having dinner at a cafe when five people came in, five of those self-defense people, and started accusing me,” Kanygin said, speaking on Dozhd TV channel. “Those were masked and armed militants, and they said they won’t exchange me, but will demand a $30,000 ransom.” Kanyagin added that the kidnappers eventually changed their minds about the ransom. The press service of the self-proclaimed Donetsk People’s Republic gave a different account of what happened to Kanyagin, though, saying that the journalist was not kidnapped but was detained for an ID check at a checkpoint in Artyomovsk around midnight local time. Earlier in the day, news of the journalist being kidnapped emerged. A major source was photographer Petr Shelomovsky, currently working in eastern Ukraine. 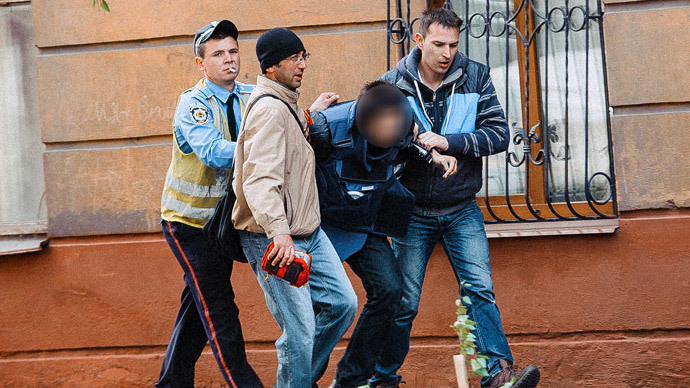 “Novaya’s journalist Pavel Kanygin sent me a text message at 4 am saying that he was kidnapped. His phone’s not responding,” Shelomovsky posted on Facebook. He later added that Kanygin was detained in Artyomovsk and could later be transported to Slavyansk, also in the Donetsk region. 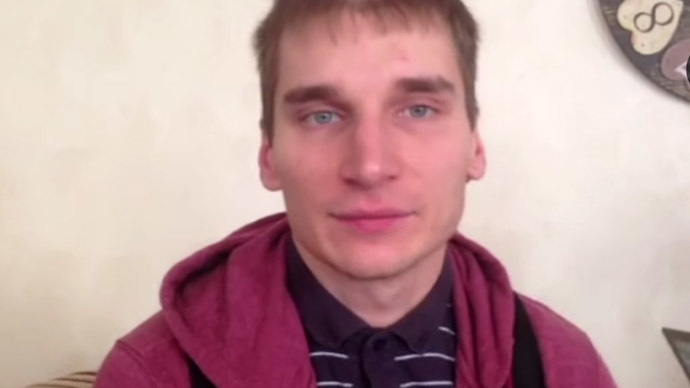 #Breaking Russian journalist Pavel Kanygin reported that he was kidnapped in #Artemovsk RT! 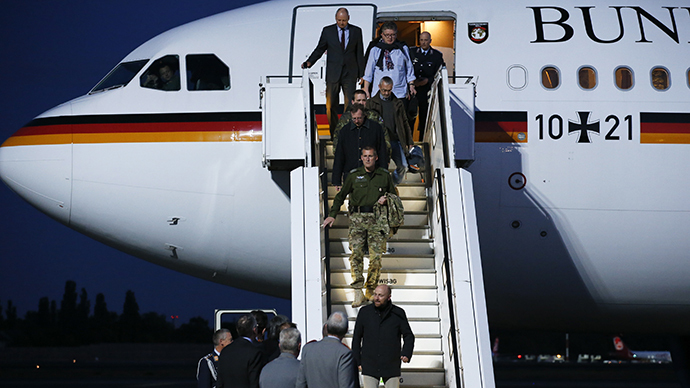 Azar also said on Twitter that a colleague of Kanygin reportedly paid a $1,000 ransom for him, but the journalist was not released, despite promises to do so. His phone is still out of reach. Shelomovsky said Kanygin could have been detained by self-defense forces over things the journalist posted on his Facebook page. 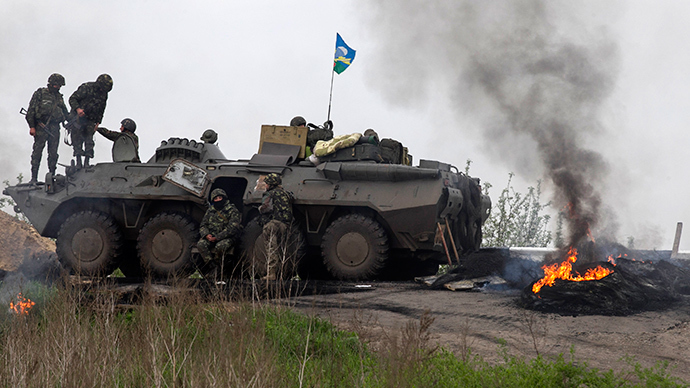 Kanygin was covering the unrest in southeast Ukraine, where Kiev was conducting a military operation against anti-government protesters and where the self-rule referendum was held May 11. There have been a number of journalists detained and abducted in eastern Ukraine since unrest in the region started in late April. 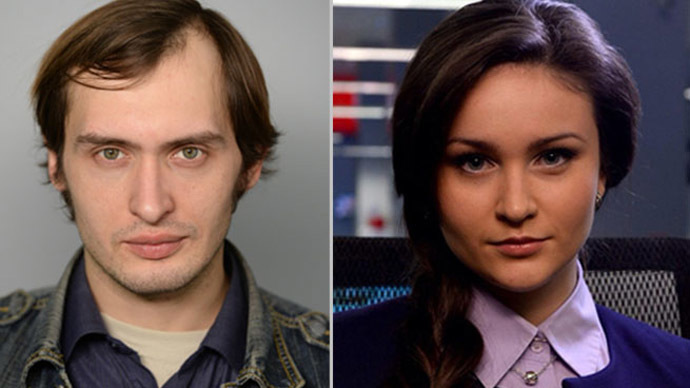 Correspondents from Russia’s LifeNews media outlet were detained by people allegedly from Ukrainian security services, and then deported to Russia on April 25. Simon Ostrovsky, a journalist for New York-based Vice News, was detained on April 21 by self-defense forces in Slavyansk, and was freed after spending several days in detention. Ukrainian radicals have put a bounty of $10,000 out on RT stringer Graham Phillips, who is currently working in the east of the country. Also, a cameraman working for RT in Odessa has been informed about being on the radicals' radar. Major Russian media outlets eventually urged international organizations, including the UN, UNESCO and the OSCE, to help ensure the safety of journalists covering the Ukraine crisis.